By now I’m sure you’ll all be wondering if you’ve been naughty or nice this year depending on what Santa brings you tomorrow, but this year surprisingly I must have being a very good boy, because when this arrived at my door from Jo Malone it was me that almost shot up the chimney! I was lucky enough to get my hands on this amazing Jo Malone Sweet Almond and Macaroon Candle, and I must say (and this isn’t a biased remark) this is the most delicious scent I have ever experienced. Like ever! It has such a sweet yet subtle smell, filling the room with a Christmassy/festive aroma. With a collection of vanilla, coconut, cherry and almond; it has the perfect combination of contrasting scents. 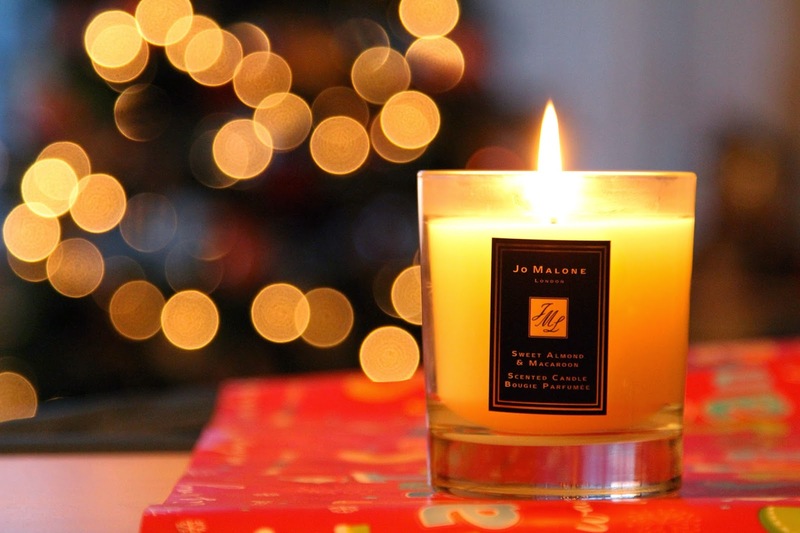 As with all Jo Malone candles, they have hours and hours of burn time unlike cheaper candles and of course, you can reuse the candle glass afterwards for pens, stationary, makeup brushes or bits and bobs. Costing £40 this is more on the luxe side but trust me it is well worth it. You can’t get a scent like this from anything else; you can smell and feel the quality, not to mention the amazing packaging this comes in including Jo Malone matches. Five star from me! What is your favourite candle? Have you ever tried Jo Malone?